WIll goodness prevail? Or will Avalon fall under Mordred's dark shadow? Wil Wheaton and guests Felicia Day (Actress, Producer, Writer—The Guild), Ashley Clements (Actress—The Lizzie Bennet Diaries), Amy Okuda (Actress—The Guild), and Allison Scagliotti (Actress—Warehouse 13) play The Resistance! This game really pops when you have a large group of people playing. I think the sweet spot is 10 (the maximum number of players.) When you have 9 other people to scrutinize and try to mentally deconstruct, all the while trying to convince them that you’re not an Evil character, it can really bring about some self-realizations. Like… I’m not good at lying. Avalon is is a bit complicated to understand at first, but once a game gets rolling, you’ll pick up on it quickly. The basics of it is, you are a character in the King Arthur mythos. There are two sides: Good and Evil, and either side has to get three quests to succeed (Good) or fail (Evil) to win the game. You are dealt a character card at the beginning of the game which will either be a Good character (one of Arthur’s loyal friends or servants) or an Evil character (an enemy of Arthur in disguise.) There are 5 quests to complete and a specific number of players to participate on each quest. Taking turns as the quest party selector, one player will handpick people from around the table to go on a quest. That selected party will now be up for an approval vote by everyone at the table. This is where it gets tricky. Did the selector choose all Good characters for a successful quest or is there an Evil character mixed into the party who will fail it? Since there is always a majority of Good characters, flaunting that you’re Evil will guarantee that you’re never approved for a quest party, which means you won’t have a chance to fail a quest; secrecy and deception is key. Once the quest party is approved, each party member hands in a secret Success of Fail card. If there is even one Fail card in the quest pile, the quest fails. This is bad for Good characters and they will have to weed out the Evil party member ASAP. Remember, it’s either 3 Successes or 3 Fails to end the game. That’s a long short-explanation, but it’s the basic gist of it. There are more subtle nuances to the game that you’ll pick up as you play, like the Lady of the Lake card which reveals the true affiliation of a certain player to another player, Evil players who know each other, and the role of Merlin, who knows of certain Evil characters at the table. Avalon really is a fast, fun, (maybe a slight bit confrontational,) and complex psychological party game, and there’s a great deal of replay value. Sorta like a beefed up game of Clue. Well worth the money! I have played The Resistance several times and have gotten to play Avalon version recently a few times and I really like it. Depending on the number of players there are, there can be different numbers of Minions of Mordred in the game, including the Assassin. But the forces of good at Arthur’s side have Merlyn to help out. After role cards are passed out, everyone closes their eyes and puts their fist on the table. When cued by the narrator, the bad guys open their eyes so they all know who each other is. Then they close their eyes and they put their thumbs up and then it’s Merlyn’s turn to open his eyes so he can see who the bad guys are. Then Merlyn closes his eyes and everyone removes their fist from the table and they all open their eyes. The starting player is the “King” and he chooses the starting party to go on a quest. Everyone has yes or no type tiles and votes to allow the party to go on the quest or not. 5 failures in a row let the bad guys win. The good guys that are on the quest must choose the Success card of the two that is given them, while the bad guys can choose either the Success or Fail card. The players on the quest then secretly hand their vote card to the King and the other card to someone else. The King shuffles the cards and reveals. 1 Fail will lose the quest for the good guys (except on quest 4 when it takes 2 Fails). Eventually more players are allowed/needed to go on the quests and then it becomes a matter of deduction, acting and guessing, as the good guy players try to figure out who the bad guys are and the bad guys are trying to deflect attention to others. Merlyn will try to subtly help the good guys in ways to let them know who the bad guys are, but he has to be careful to not be too obvious because if the good guys win, the bad guy playing the Assassin will get to try to guess which player was Merlyn and assassinate Merlyn. That would lead to a victory for the bad guys. Otherwise, the winning team is the one that gets 3 successful quests for good guys or 3 failed quests for bad guys. There are other characters that people can play as their roles that can add even more fun to the game. I’ve played with as few as 6 players and as many as 10 players and it is quite fun either way, though the last game I played was a 10 player game and it was epically great. I mean I was the good guy and one of my fellow good guys convinced the others that I was a bad guy. When I was king, I selected a good group and we could have won the game, but my accuser talked others to nay the quest and then the role of king was passed on and a couple turns later we lost. Fun seeing people interact so much. I’ve always been a fan of games with heavy player interaction. Games which mechanics involve trading, bluffing, making alliances, betraying… well, you get the point right? Now imagine my reaction when a friend of mine presented me to The Resistance, a game in which you must convince your friends that you are someone they will never be sure of. Yeah, I was pretty excited… And this game surely haven’t disappointed me. The sensation of playing The Resistance for the very first time is quite unique, so I don’t want to cover every gameplay detail. All I must say is that you will be given a card at the start of the game which will tell if you are bad or good. Now, the good guys here are trying to complete 3 missions successfully and win the game. It’s simple, every turn some of the players will be elected to vote for a mission to succeed or fail. Votes are secret and it takes only one “Fail” vote for a mission to be unsuccessful. 3 unsuccessful missions give the bad guys victory. If all the votes are “Success”, the mission succeeds and the good guys score 1 point. One important thing is that, at the beginning of the game, the bad guys are given a chance to see each other, so they know exactly who they need to manipulate. So what you’ll see during the game is every single player acting like a good guy, and as the missions succeed/fail, the good guys start to actually tell who is probably bad… or not… I mean, how well can your friends manipulate you? That’s the real question in The Resistance. As far as the Avalon Edition is concerned, it basically adds several new roles, leading to a lot of new interactions and possibilities. But I will recommend using the new cards only if you are a very experienced player. Again, I don’t want to cover the details, but Avalon gives The Resistance even more replayability and mind blowing outcomes. Sometimes you will get so confused with all the different interactions and manipulation that your brain will get blue screen and restart itself automatically. Great, great addition if you are starting to feel bored with the basic version of the game. Overall, this is a great and fun game to play with large or small groups of people. Just make sure that, if you are one of the good guys, you can handle being back stabbed by your best friend and your wife. It happened to me and I still feel like a fool. Oh, they feel great about it by the way, greatest pride in their lives. Strangely I am not fond of this game. All of my friends love it, my husband loves it and I feel like I should enjoy it too… but for reasons I cannot even explain, I just do not enjoy playing it. I actually enjoying watching others play far more than being a part of the game. This game has many aspects that I love in other games but together they just do not make the game work for me. Hopefully, you will not be me and will be like the majority and enjoy it as much as my friends and husband do! Theme – this theme is wonderful! I love the characters that add depth to this game, like Merlin and Morgana, and am quite familiar with them all. The mechanic of adding these in for more complexity as you add more players to the game is fantastic and makes for very high replayability. Bluffing – Bluffing is quite fun, Coup is one of my favorite games to fill time. Here you get to team up with others and be good or evil, what could be more fun? You get to be King for a day, well just a round but still! Fun, right? 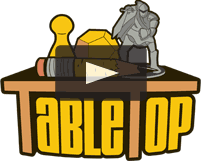 Table talk – you can make up stories and bad mouth opponents (all friendly and in good fun of course), you can’t do this in many games so enjoy it while you can! Players are given a secret role(either a good guy(knights) or a bad guy(minions)) and are tasked with creating teams to send out on various quests. The entire group must then vote on the selected team to decide whether or not it is sent on the quest, and then a new team is selected if the first team is shot down, or the team goes on the quest. Once on a quest, the players chosen to go on that quest will select a ‘Pass’ or ‘Fail’ card to determine whether or not the mission passes, Knights must pass the mission, and the Minions are trying to make the mission fail. A single failure in most missions will mean the quest fails, no failures mean that the quest succeeds. You do this up to 5 times, and the first to 3(either passes(Knights) or fails(minions)) means that side wins. There are also some specialty role cards, which will help by adding more information into the pool. I’m going to try to draw a lot of comparisons to The Resistance, mostly because I’ve played it more, and the games are very similar. Compared to mafia/werewolf, I much prefer The Resistance’s style of gameplay. I like the voting to accept a team, and I like the mission results. Both of these are great sources of information that you can use to try to ferret out the neer-do-wells, and since both of these games have that, I can ignore that in my comparisons. The main difference, is that Avalon has specialty character roles like mafia. And these roles help add in more information into the game, and add a bunch of unique ruffles, but there is one in particular that I quite dislike, and it signals the start of my dislike for this game. Merlin, who knows who all of the bad guys are, needs to be alive at the end of the game. The minion role that counters him is called the Assassin, and at the end of the game(if the knights win), the assassin kills a knight and if Merlin dies, the knights lose. This means, that in general, even if you play a perfect game and pull off a clutch win at the 7th hour, the minions still have a fairly significant chance to win(generally it seems like they have a 25% chance of killing Merlin if they guess at random). While this does add a fun role for Merlin, who has to try to spread the information he has without drawing attention to himself. Overall this rule just annoys me that the knights can lose the game to a dice roll, and nothing they can do can really stop that. In addition to this, unlike Resistance, Avalon does not use plot cards in the game by itself. And this kind of makes this game just strictly worse then the Resistance to me. The plot cards add a great open source of information(who gave who what, who player what on who, what did they say about each other), and this creates a bunch of dependencies which you can then talk about openly without fear of repercussion(i.e. Merlin dying and you losing the game) and create teams around exploiting the information that you do know to gain more information. With this mechanic lacking in Avalon raw, and being replaced with role cards, it just puts this game back into a mafia-esque camp, of fun but you’ll still generally be running blind for the first few turns(and since the game only runs for 5 turns that is most of the game). As a final note here, the art on the cards looks great, the characters are fairly vibrant and detailed, the boards all have enough information on it to help keep track of things, and most of the components are fairly solid cardboard and seem like they’d hold up well. It has the same issue as other hidden information games if the backs of cards start getting marked, but that can be easily fixed with some protectors. Overall, I’d rate this game as better then mafia for a quick party play, but worse then The Resistance. If you combined the secret roles with the plot cards, this might become more interesting, but the Merlin ruffle will always just be a thorn in my side that I’d rather do without. The Resistance: Avalon takes the formula of The Resistance and adds in a few tweaks that makes it superior to its predecessor. That being Merlin knows the traitors, Percivel knows who Merlin is, The assassin can win the game for the traitors if the Knights win by picking out who Merlin is and and killing him. There are other role cards with some abilities as well. The promo card Exaliber adds a bit too by allowing you to force a player to change their Pass/Fail choice without knowing what they put. -The promos for this game are pretty easy to get. -Do not play with people who are not willing to go you are the traitor/etc. Can also get a Merlin who will say one of the loyal players is a traitor which causes Percivil to think that player is a traitor as well. -No expansion like there was for The Resistance. -Some people will take this game to heart. At its core Avalon, like the Resistance, is a game of bluffing, player reading and psychology. Playing multiple rounds you begin to see how players behave differently when they play as servants of King Arthur versus minions of Mordred and thus trying to sabotage the group. Note this game plays best with six or seven players but can go up to ten. While Avalon is simply a re-skinned version of the Resistance there are several reasons why Avalon’s differences makes it shine even more than Resistance. First, in my opinion the King Arthur/Knight’s of the Round Table world is slighter more thematic and engaging than the spy theme in the Resistance. Second, adding the additional characters with unique abilities that aid in deducing each player’s alliance takes this game up a notch. For example adding in Merlin (knows players who are evil but cannot be too obvious in giving clues to the good guys because he can be assassinated) and Percival (knows who Merlin is) really changes the dynamics of the game for the better and lessens some of the chance elements inherent in the base Resistance game. We also had some fun adding in Mordred(stays hidden from Merlin)and Morgana (reveals herself to Percival as Merlin) although we found Morgana very challenging to play effectively because her efforts to throw off Merlin are usually at the expense of effectively assisting the minions. Overall an Incredible game. This is one of the most fun games I’ve ever played. This was a huge hit with my play group and we could not stop playing it — everyone was laughing and having a great time. If you haven’t played yet, and you can put on a decent poker face, you have to give it a try– truly a unique and fun experience ! This is a great party and bluffing game, though the complexity of the quests and the voting may turn off gamers with less experience. For a group of players that really know each other, and have the patience to learn and understand the mechanics of this non-elimination bluffing game, this game can be VERY enjoyable and fun. Overall the components and helper apps that you can get for smart phones make this game an incredible play, and the variety in the characters allows for you to mix it up and get quite a bit of replay value. When explaining this game to new players make sure to explain the mechanics of forming the questing party, voting on the party, and getting quests successfully complete, these three stages to this game can be very daunting especially to younger players who might be better suited to playing something like one night werewolf instead. Most of the components are of really nice, you have thick tiles which are always really nice and multiple game boards depending on how many players you have. If I had one complaint it would be about the paint on the game tiles scratch away too easy which can be a drag when certain scratches if paid attention to could reveal way too much information. Setup of the game is pretty easy as there aren’t too many things to setup. First you choose the game board depending on how many people are playing, you deal out everyone’s roles secretly then you give everyone their voting tiles and you’re pretty much done the physical setup the rest is verbal. Generally one person is designated as the announcer and should be familiar with the game, they get everyone to close their eyes and have only the traitors open them, then they close their eyes and put up their thumbs and Merlin opens his eyes to see who the bad guys are and it continues in this fashion depending on the roles put into the game. You go around the circle having to choose who will go with you on a quest and if you trust the person next to you or not. Whether the group you selected will get approved after everybody votes on if the group should be allowed to go, or if people will think you are a traitor because you chose not to send yourself. If the vote is in favor of the mission going head then the people chosen are given pass and fail cards and put in whichever they choose. If all the cards are a pass the mission was successful, rinse and repeat. If there is a least one fail card in there then the whole mission fails and you know you have a traitor in your midst… but who could it be? I know its not me so it must be you… or you? This is a simple game for slightly larger gaming groups. It is relatively easy to teach but can still take some time to have a grasp of what is going on, and potentially a lifetime to master. It will have you questioning your friends and arguing about why something was or was not a bad move. It’s a lot of fun to play and most want to a second play through after their first experience. I love this game, It is a great game to play with 7 to 11 people. You always have a lot of fun playing it and the value for money for this one is amazing. Artwork is nice and the component quality is excellent. Many different characters, so that you can give it a twist if needed and it adds to the replay-ability. Based on the number of players. There are effectively 2 teams, but you don’t know who is on which team except the rebels of which there are 2 or 3 and rest are effectively the government . Current player picks 2 or 3 people do go on a mission. Everyone then votes on if the choice is acceptable, if not then nextplayer becomes current player and picks a new team. When a team is chosen they go on the mission. If all players vote yes Gov’t. succeeds, if one player votes no then rebels succeed. 5 missions and 1st side to 3 missions(success or failure) wins game. This is one of the most recent variants of a game with this theme. Add a Review for "The Resistance: Avalon"